After years of trying to find a block printing surface that would be easier for artists of all ages to carve on, we have discovered an innovative new material! Working with traditional lino tools, Easy-To-Cut cuts beautifully, leaving smooth, clean edges. Blick Blue Easy-To-Cut works well on curves and tight corners. Its shelf life can be up to ten times longer than that of traditional linoleum. 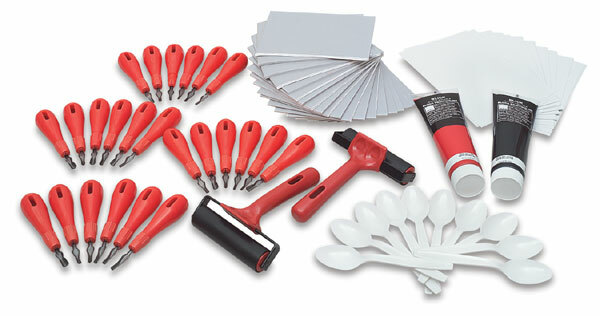 Class Pack — This convenient Class Pack contains everything a class of 24 students needs for printmaking.